Safavieh's Vintage collection is inspired by timeless vintage designs crafted with the softest viscose available. 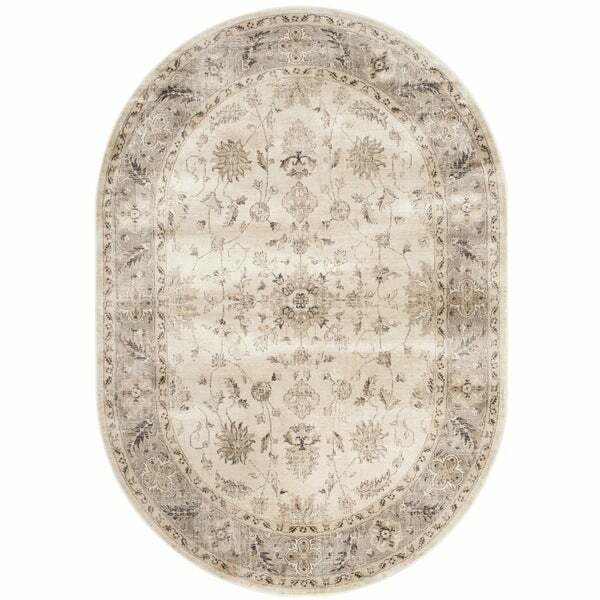 This rug is crafted using a power loomed construction with a viscose pile and features main accent color of stone. Inspired by global travel and the bold, colorful motifs adorning fashionable ski chalets, Safavieh translates rustic lodge style into the supremely chic and easy-care Vintage collection. Crafted of enhanced viscose yarns, Vintage rugs explore stylish over-dye and antiqued looks, making striking fashion statements in any room. I received this rug in the mail this morning. I absolutely LOVE it! Was sceptical because of the low price, but it truly looks like a VERY EXPENSIVE Rug! High quality, made very nice, soft, not too thin at all. Just right for hardwood or tile floors. Perfect for under my large kitchen table. The distressed look was perfect, not overkill, looks brand new, yet a fade to it, not a worn look. Perfect, thank you!! 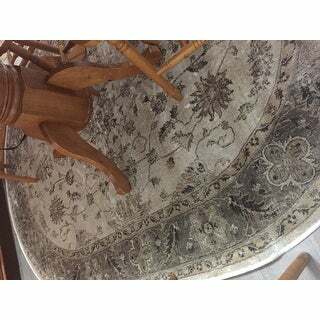 Rug so cheap looking!!! There is no weight to it and it is extremely thin. So thin that the edges remained rolled upward from the roll it was shipped in. I could have bought something nicer at the local junk store for half the price. This beautiful oval rug looks wonderful in my parlor. The color and description are exactly as described in the listing. I am extremely pleased with this purchase. I put the rug under my kitchen table and it was just the right size. Matches my floor just right. Soft and muted in person. Very soft under the feet! I have 24 furnished rental properties and bought this for one of my rentals. I leave reviews after many months of use and I love how well this piece has held up in my portfolio. I would buy this again! Great rug, a little concerned about an area that got wet, the nap didn't quite come back. May review again later. It matches the picture and it was the perfect accent for the area in our house. This looks great! I have received several compliments on it already.